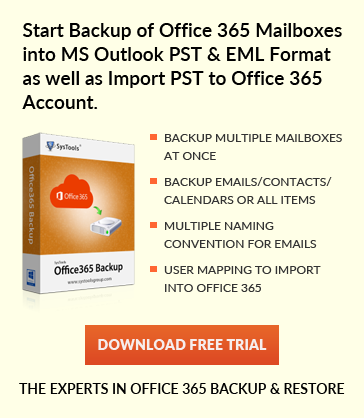 Outlook is a mail client used to access Exchange Server emails. It enables the user to send and receive emails along with all Meta properties like attachments, headers, notes, journals and task etc. But due to some reasons, it shows error Outlook OST File Corrupted. This error can occur in any version of Outlook 2016, 2013, 2010, 2007 and all its below versions. Don’t panic while continuously getting Microsoft Outlook OST File Keeps Getting corrupted error message. Simply read this article and fix all issues of .ost file corruption. Why OST File Keep Getting Corrupted Frequently? All the changes made to the ost file while not connected to the internet need to be synchronized. When OST file tries to synchronize with Exchange server then all the changes made offline, will be updated in Exchange Server OST File copy. But due to any internal or external fault synchronization process not get completed then as a result ost file get corrupted. Solution: – To avoid OST file corruption issue before synchronizing ost with Exchange server check internet connection. Because poor Internet connection may restrict to complete synchronization process. Like other data files, Outlook OST file can also get corrupted due to virus attack. As we know that Outlook is a mail client, so it enables the user to share data. Due to this feature, anyone can send you malicious files and on the action of it, the outlook ost file corrupted. In this scenario, your Outlook OST file keeps getting corrupted. Solution: – It is quite easy to avoid virus attack on .ost file. Simply install anti-virus on your system or upgrade pre-installed one to the latest version. It will protect your OST file to get affected by any malicious program. The Outlook OST File resides on the hard drive of your system. If the hard drive partition got corrupted then .ost file also be inaccessible. It does not dependent on the Outlook version you are using. Once the hard drive partition gets corrupted then all data in it will also be unavailable. Solution: – To avoid this kind of situation you need to take regular backup of .ost file and save it to other partition or drive. This may prevent the continuous corruption of ost file. Outlook OST File corruption reasons and their solution mentioned above. It might help you to take precautions to avoid ost file corruption error. But what to do if your Outlook OST file gets corrupted. In such situation, you need not panic. Simply download and install the Outlook OST File Recovery Software that can easily recover complete data from the damaged .ost file. The program possesses many useful features and also available in free version. In this article, I discussed why Outlook OST file keeps getting corrupted frequently. I explained all the season of ost file corruption and their solution as well. I hope this effort will help you to avoid ost corruption easily.